Crash.net is unveiling its top 100 drivers and riders from across the motorsport world from 2018 with a countdown on each day until New Year’s Eve! Check back tomorrow for the top 60-41 entries, and let us know in the comments if we’ve made the right choices. Perhaps it is odd to rank a driver who didn’t win a race all year long and only finished 11th in his championship in our top 100. But when it comes to Robert Wickens, it is wholly justified. Wickens was on course to take victory on debut in St. Petersburg following his move from DTM for 2018, only to be taken out by Alexander Rossi. He remained a front-runner for much of the season, taking podium finishes at Phoenix, the Indianapolis GP, Toronto and Mid-Ohio, leaving him sixth in the standings prior to Pocono. The devastating accident on the opening lap of the race that left Wickens with a number of injuries, including a spinal fracture, sent shockwaves through the motorsport world. But Wickens has shown immense resolve and strength in his recovery as he looks to regain his ability to walk. His videos have been a source of inspiration. The day we hopefully see him back in a racing car will be a sweet one indeed. It might seem odd that Sutton is ranked higher than a driver who beat him in the 2018 standings (Ingram), but the overall finishing position does not tell the full story of the latest BTCC campaign. Sutton was unable to successfully defend his 2017 drivers’ crown, but he turned in another impressive campaign that highlighted the 24-year-old’s standing in the BTCC’s new generation. He was the only Subaru driver to make it onto the winners’ step of the podium as he surpassed his victory tally from the previous year with six wins - double the amount any of his rivals achieved. Failing to match the consistency of his chief title rivals proved key in Sutton missing out on back-to-back championships. The racing legend that is Loeb continued to produce historic feats in 2018 across multiple disciplines. The French driver led large chunks of January’s Dakar Rally only to miss out due to the unforgiving nature of the event in an off, while he enjoyed his strongest World Rallycross campaign of his career taking one win and six additional rostrums on his way to fourth place in the championship. But it was at his old stomping ground of WRC where the nine-time world champion dazzled once again with a flawless victory in Spain, just his third WRC event of the year, to land Citroen’s its only win of the 2018 season. Following his stunning drivers’ title win in his first year with Penske in 2017, Josef Newgarden entered the season with the mantra ‘Defend the 1’, wishing to retain the figure on the front of his car. Alas, it wasn’t to be. Despite some superb victories at Phoenix and Barber to establish himself as a title contender early in the season, Newgarden’s form yo-yoed too much. He never finished on the podium without winning the race, with his third and final victory coming at Road America. While he finished every race and was outside of the top 10 just three times, Newgarden wasn’t consistent enough in fighting at the very sharp-end of the field. With the unfortunate Shane Byrne out injured for the year following a testing accident in late May, Jake Dixon became the main title rival to Leon Haslam in 2018. In just his second full season in BSB, Dixon using customer Kawasaki machinery against the factory-backed Haslam quickly gained admirers as his performances kept the pressure on in the title race up until the final round. A win at Knockhill and the double in tricky conditions at Oulton Park showed Dixon’s pedigree which resulted in the British rider landing a Moto2 ride with the prestigious Angel Nieto squad for 2019. But in a series which has been dominated by the same names in recent years, a fresh face in Dixon and his happy-go-lucky attitude sees him cements his spot on this list. While the Moto2 title fight was dominated by Francesco Bagnaia and KTM team-mate Miguel Oliveira, Binder’s unrelenting consistency saw him comfortably take the ‘best of the rest’ honour and third place in the championship. The South African made history with victory at the Sachsenring, following up the feat with further wins in Aragon and Phillip Island, to help guide Red Bull KTM Ajo to the Moto2 teams’ title. Binder looks set to continue to build his momentum for a potential title shot in 2019 with both his closest rivals stepping up to MotoGP next year. 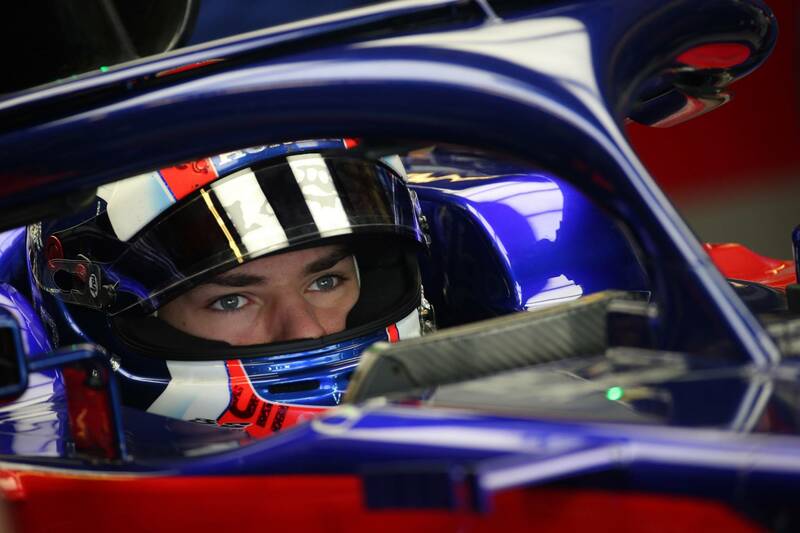 In his first full-season in F1, Gasly made an impression as Toro Rosso linked up with Japanese engine manufacturer Honda following its disastrous tenure with McLaren. A stunning fourth-place finish in Bahrain and strong drive to sixth in Hungary were standout performances of a campaign in which the Red Bull-bound Frenchman convincingly out-scored teammate Brendon Hartley, managing 29 of the 33 points Toro Rosso achieved. The Faenza squad ultimately slipped behind its midfield rivals in the development race as the season wore on. It was a year for the old boys in the first season of the FIA-backed WTCR championship as former teammates Gabriele Tarquini and Yvan Muller went toe-to-toe for the title. Nine years on from his WTCC title win, Tarquini ascended to the top of the standings once again. Two wins in Marrakesh started his season well before further wins in Hungary, Slovakia and at Motegi boosted his title chances. The Motegi win was particularly significant after two five-race streaks without points through the season, meaning that even with a DNF at Macau and a finish of 10thin the title decider, Tarquini was able to beat Muller by three points in the final standings to secure the crown. In doing so, Tarquini broke his own record for being the oldest FIA world champion, coming just a few months shy of his 57th birthday. 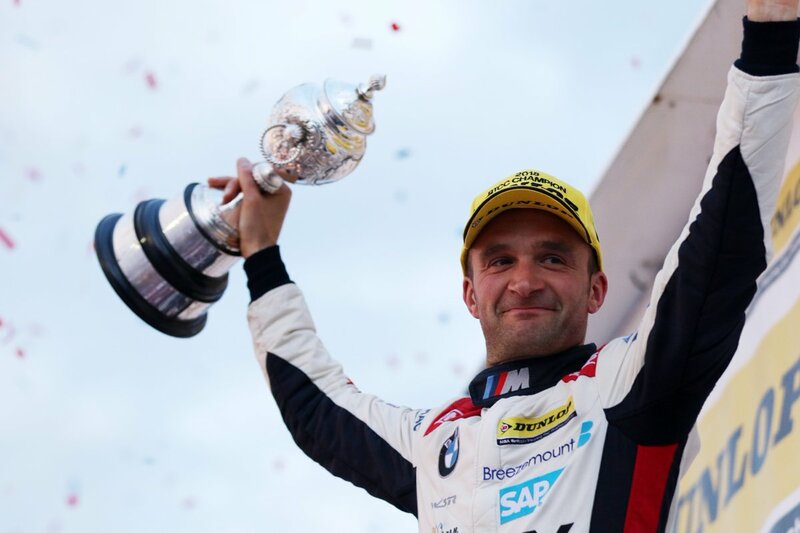 Turkington only claimed one victory all season - a brilliant charge from fourth on the grid at Oulton Park just days after the death of his mother - but the BMW driver’s consistency was the main factor in his latest title success. His haul of 10 podiums and 24 points finishes from 30 races underlined a strong campaign in which he was able fend off drivers with more victories to their name (including Ingram and Sutton) to seal an emotional third BTCC championship crown and his first since 2014. With the injury-enforced retirement of Kenan Sofuoglu, the future of Turkish motorsport still has a promising outlook thanks to Can Oncu (previously named on this list) and Toprak Razgatlioglu in World Superbikes. After a standout campaign in the European Superstock 1000 class last year, Razgatlioglu is tipped as a future title challenger in WorldSBK and in 2018 produced an eye-catching rookie campaign on the Kawasaki Puccetti. His charge to a maiden podium at Donington Park, with second place behind Pata Yamaha’s Michael van der Mark, gave credit to those predictions and followed up the feat with a second podium in race one in Argentina. A top-10 championship finish would have achieved pre-season targets given his customer machinery limitations and he’ll be keen to continue to climb the grid in 2019. Franco Morbidelli has followed in the footsteps of the likes of Jorge Lorenzo, Marc Marquez and Johann Zarco as intermediate class world champion to go on to top the MotoGP rookie standings in the following year. But the Italian’s 2018 was far from easy with the customer Honda Marc VDS squad, and the well-documented off-track issues at the team, but Morbidelli kept relaxed to consistently bring in the points. To underline Morbidelli’s feat, the Italian scored all 50 of his team’s points compared to Thomas Luthi who had pushed him closest to the Moto2 title last year. Each point was vital in beating Tech3’s Hafizh Syahrin to top rookie spot in the final riders’ championship to cap an impressive campaign.